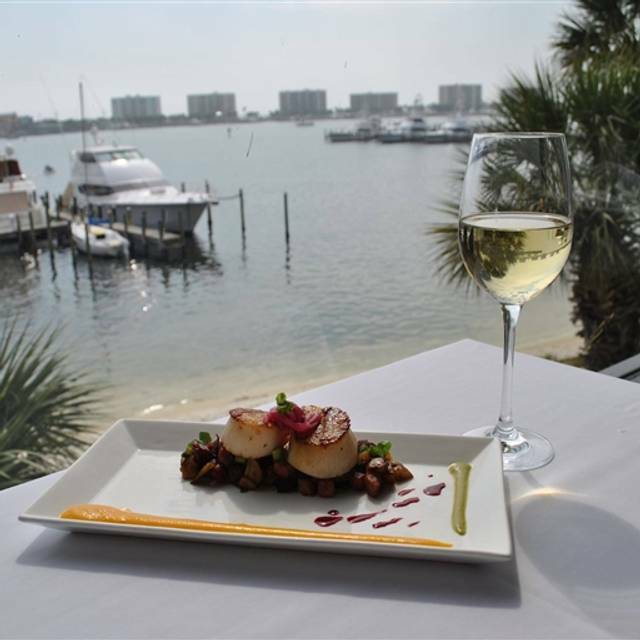 At Marina Café, it is all about sensational food, attentive service and breathtaking Destin Harbor views. 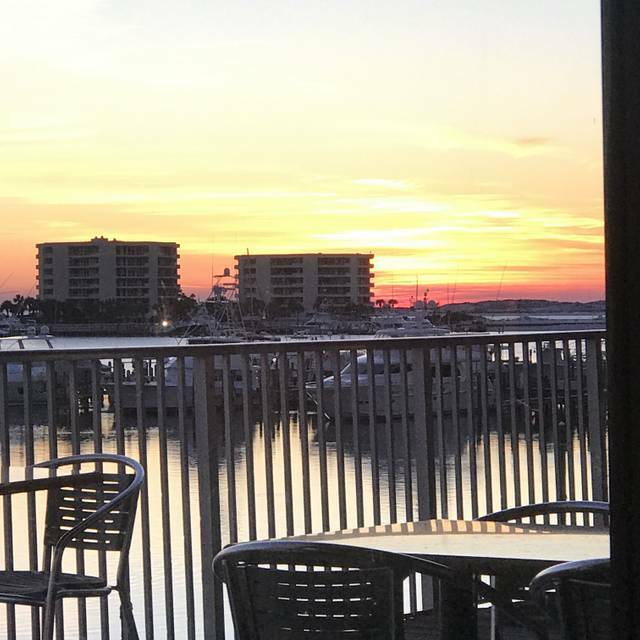 Our award-winning restaurants popularity is evident on any night when Destin’s loyal patrons fill the bar to the brim for happy hour and enjoy the scenery from the thirty-foot window wall. The candlelit dining room envelops you in warm colors, high ceilings and large picture windows overlooking the Destin Harbor. Relax and enjoy our extensive wine collection with over 100 wines that perfectly complement the wonderfully progressive cuisine. With fresh daily seafood selections, prime steaks, pastas, sushi and wood-fired pizzas there is something for everyone at Marina Café. Don’t miss Happy Hour nightly in the bar area or out on the waterfront cocktail deck from 5-7pm featuring half-price drinks, sushi and a select appetizer menu. 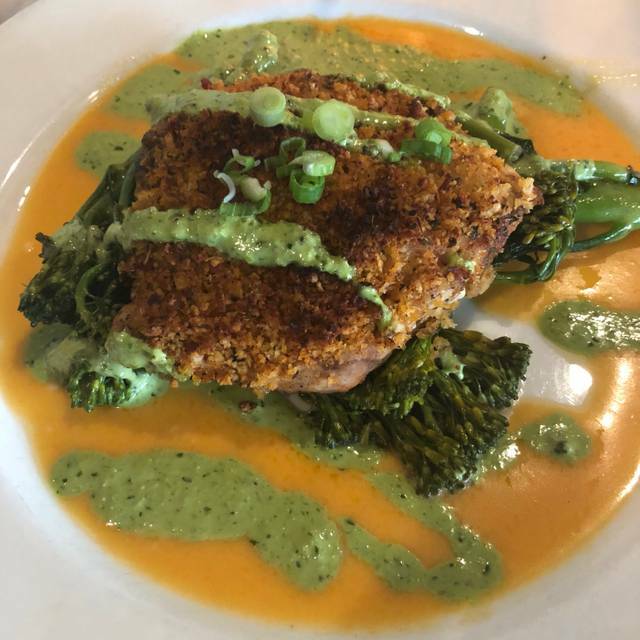 You can also come in for our nightly Early Dining Special from 5-6pm, where you can Buy 1 Entrée and Get 1 Entrée, of equal or lesser value, Free. 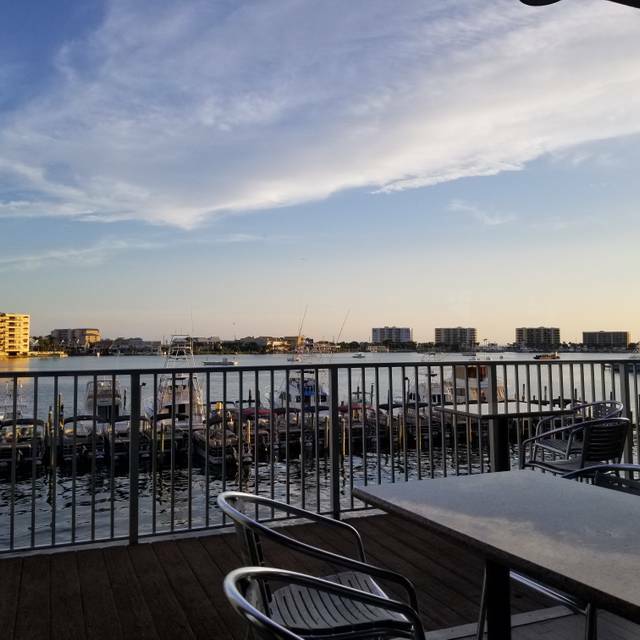 Marina Cafe, an award-winning restaurant located on the Destin Harbor, is renowned for its sensational food and attentive service. Experience contemporary dining and breathtaking sunsets over the harbor through a thirty-foot window wall in the bar and water front dining room. Waterfront cocktail deck with sensational sunset views. Center Cut Filet Mignon 8oz. USDA Prime New York Bone-In Strip 18oz. One of the best meals we have had collectively as a family. The group cheeks and the scallops and egg plant appetizers were both fabulous. We also had the grouper, swordfish, shrimp and grits, redfish and scallops. All were excellent and well prepared, but I think they fresh fish dinners were the best of the best. The coconut cream pie for dessert was the best I have ever had. If we are ever in Destin again our family would choose The Marina as their number one choice to go back to. Wall of windows right on the marina! Great place for sunset views. Great seafood dishes they helped us find just the right table view! We spent the evening catching up with friends from out of town. Marina Cafe never disappoints! Great atmosphere, food and service. Highly recommend. I’d say this is the best restaurant in Destin. The food was fresh and delicious. Presentation was beautiful. We were pleasantly surprised by their two for one dinners prior to 6 pm. 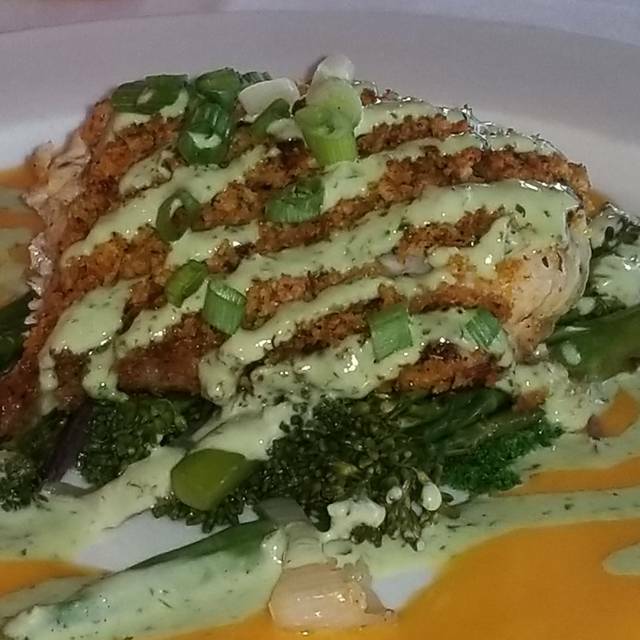 The grilled grouper special was wonderful. Their crabmeat eggplant appetizer was very tasty. Request a table for the sunset. They had a really nice bar as well. I am a local - well at least for the past 8 years! Came here often - there are lots of great dining places in Destin and area. Marina was lways great and a favorite, and we went this past week for a birthday. It HAS been a while, though. Service was great. Great food. We all had great time. Deal with the 2-for-1 entrees and early-bird 1/2 price drinks at the bar is really exceptional. So, yes. This rather nice restaurant has good dels for those who eat early!!! Thanks. This place is extrodinary! First class food and exceptionally personable, helpful and knowledgeable server (Shannon). More expensive than you would expect from a "Cafe" but a great experience and well worth it. Food was excellent. Great views! Services little slow. Otherwise great experience. We have made the Marina Cafe a family spring break tradition for over 10 years and each year we come it has always been one of our favorite meals/locations in Destin. 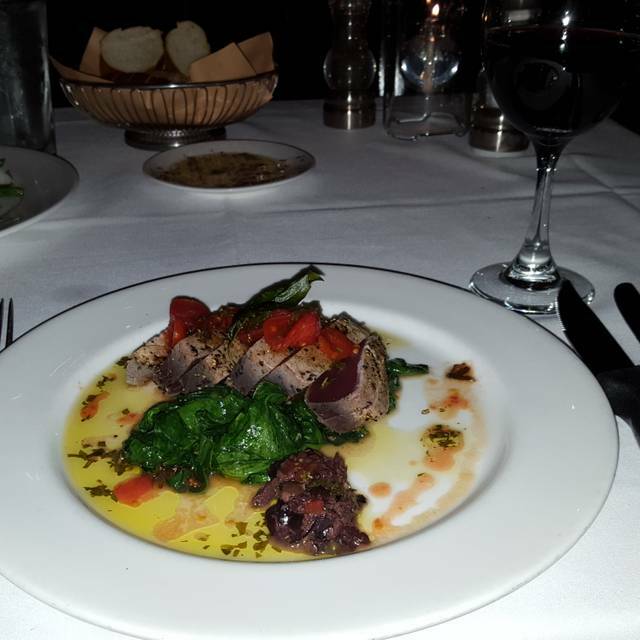 Marina Cafe is an upscale restaurants with an excellent fish and seafood menu. Service and food have always been excellent & Wally the manager has always made our family feel special and is like seeing an old friend each year. 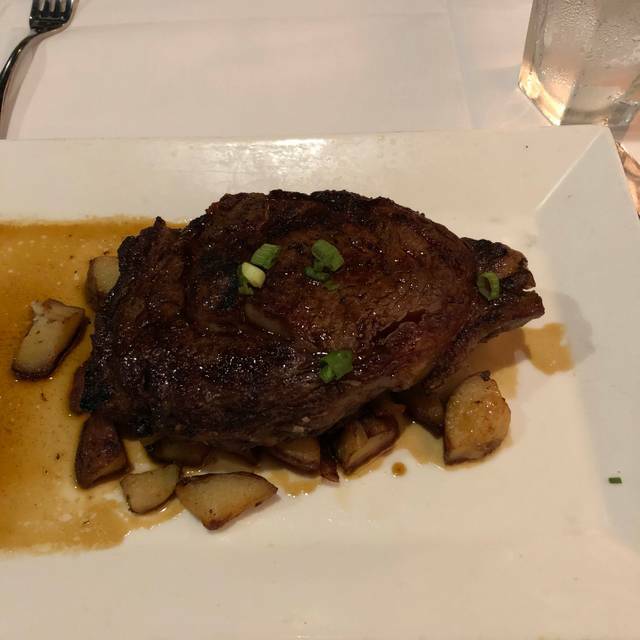 So get a little dressed up and take the family or someone special for a great meal and a beautiful view of the harbor at sunset, you won't be disappointed. Wife's Birthday and Marina Cafe made it a special day for her! Service, presence and very fine recipes with excellent execution. 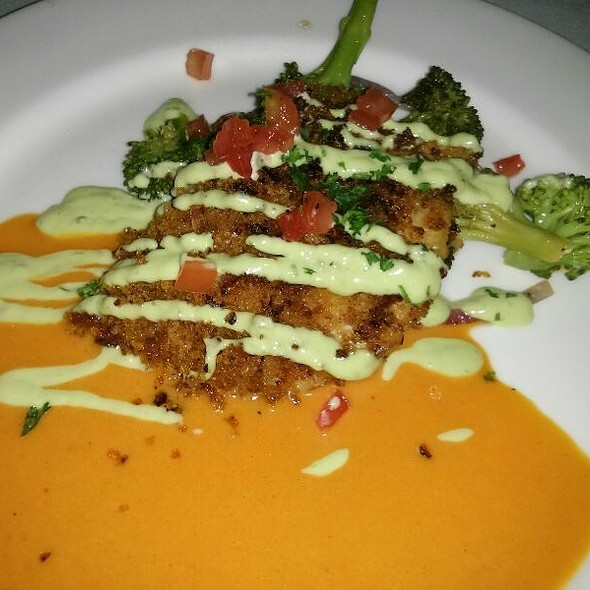 The Cajun Grouper was beautifully presented, flakey and with delicate but creamy sauce. Not heavy on the red peppers and cayenne. Well timed wine list with fun options. Salad was delightful...except radishes...cold and fresh. A must if entertaining and thoughtful and smart wait staff. We love going here while in Destin. Highly recommend for a great dining experience. Incredible experience! The food was amazing and very well prepared. Extensive wine list with exceptional recommendations. Service was fantastic. Definitely will be back and would highly recommend! What a perfect place to dine! We are from St. Louis, Missouri and our server, David, was sure to let us in on all of the local interests! He was beyond knowledgeable about Marina Cafe, the menu, and treated us like “old friends”. This will be a definite on our list whenever we visit Destin again!! Thank you for helping to make our trip so memorable! Tammy & David S.
Best waterfront restaurant in Destin. Great view. Excellent service. The Redfish was excellent. Large portion and perfectly prepared. Great view with tasty fresh food and friendly service. Good seafood, good seafood, incredibly atmosphere, and tremendous service (promote Dale). Marina Cafe is exceptional with one exception. Their bar staff is terrible, worse service possible. The dining staff was superb as well as the food. Only issue I had was the salt flavor was intense in the scallops to which I’m sensitive too. 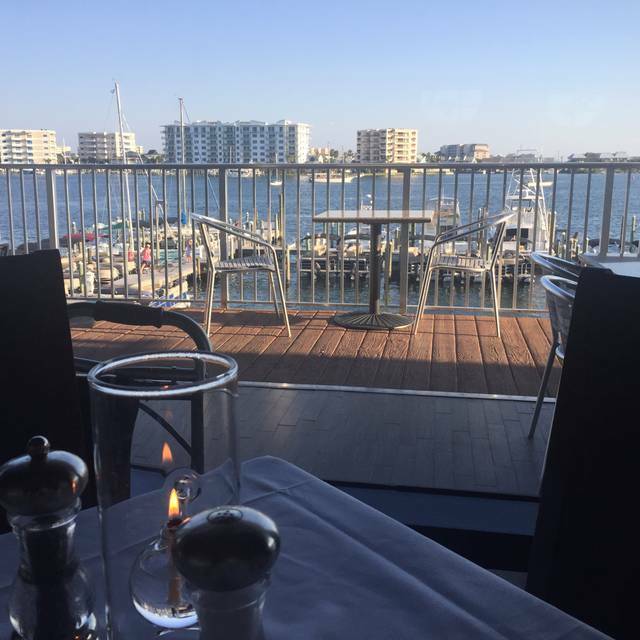 Delightful atmosphere overlooking the Destin Harbor. Great "fancy" service. Good food - rich and flavorful. Amazing food. We went two nights in a row. Their fresh fish is the Best! From the moment we walked in everything was outstanding. We will be back for sure with friends and family. It is a wonderful place for a quiet date or family dinner without having to shout at each other to hear! The restaurant was beautifully decorated in a picturesque setting. The early bird special was a good deal. Our server was a bit distracted, but pleasant. The swordfish was very good, but the grouper dinner was a bit dry and could have used more sauce. The romaine salad was a good choice, especially with the blue cheese dressing and was big enough for two people to share. The cocktails were pretty and tasty. Our dining experience could not have been better! The food was amazing and our server was knowledgeable and attentive. The view of the harbor from our table was lovely. We can’t wait to return! We are locals and visit several times a year. It was a joy to share your resturant with our friend from California. The staff were wonderful and the dinner outstanding...the red fish a must! An amazing dinner! The perfect plate of fish and veggies, and my husbands fillet was to die for. The early bird entree special is unbeatable. We will definitely be back. Dustin was awesome. One of the best waiters I have felt with in years. Tell him thank you. The restaurant is amazing, great scenery everywhere you sit. Great for a formal dining restaurant. The food was fresh and cooked perfectly. it was overall one of the best experiences i had at the marina cafe. i dine at this restaurant every year, sometimes we even come twice because it’s that good. robin was our server and she was fantastic. the food was amazing. the atmosphere was great. felt very welcomed, especially being a younger couple at a finer restaurant. Marina cafe is awesome. Every meal at the table was excellent and the service was outstanding. Expect to be here a while since everything is made to order, but it’s extremely worth it. Birthday. It was our first chance to be back in almost a year. Still as fantastic as ever and Shannon was her usual wonderful self. What a great evening visiting with friends. Sat in the Bar for a drink before dinner. Had a fantastic meal! Will be back again and again for sure! One of the best places to eat at in the Destin area. Service is always the best .Everyone is friendly and the food and deserts cannot be beat. The happy hour at the bar cannot be beat. Between 5 and 6 they have a good special that cannot be beat.Purchase one and receiver a free meal.Eat there afew times a year and have never been disappointed.We always recommend this restaurant to fellow snowbirds. Having stayed at Navarre Beach for the past ten years, we have found many fine restaurants in the Pensacola to San Destin area. We truly know that you restaurant is the finest overall. We look forward to our next experience at you "Cafe". I’ve been here several times and have always had great a great experience. Took my husband for a special birthday meal. I was greeted at the door and our waitor David talked through and gave recommendations of the menu. He was so knowledgeable and friendly. The food was delicious, melt in your mouth with the best scallops I've ever had. Food arrived hot and quick and the cocktails were lush too. Would love the recipe for the oil that was served with the bread, so yummy. Thank you so much and we will definitely be back soon.